AirportWatch | Lydd airport: will it find enough passenger demand, or is its business plan nonsensical? 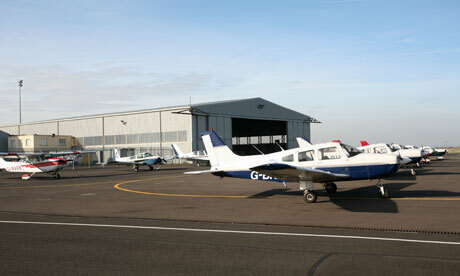 Lydd airport: will it find enough passenger demand, or is its business plan nonsensical? Gwyn Topham, in the Guardian, speculates on whether the government granting planning permission to Lydd airport is an indication to their thinking on airport expansion in general. The decision came relatively soon after publication of the aviation policy framework in March which reiterated the idea of growth elsewhere to take pressure off London’s main airports. And it may be connected to Osborne’s budget talking up infrastructure and its impact on the economy. Approval has been given for up to 500,000 passengers a year, though Lydd will struggle to get anywhere near that. They hope to eventually be able to use the railway track that carries nuclear waste from Dungeness to link passengers to Ashford’s high-speed train – a 37-minute journey to London, albeit expensive. Though Lydd would like to get easyJet, as Southend has, but it is more likely to expand the executive jet service. And they hope when Gatwick is full and wants more A380, it will kick out the smaller planes, which will then find Lydd useful. That will take a while … and currently the lack of demand makes the Lydd business plan nonsensical. If only all airports could be this peaceful. Beside the soon-to-be-expanded runway of Lydd’s optimistically named London Ashford airport the clearest sound is birdsong. Sheep graze by the car park in front of the terminal building. In a couple of hours on an April weekday, only one small craft troubles the control tower: a light plane from nearby Shoreham on a training flight. Gazing across the wildlife reserve to the nuclear power station on the Dungeness headland three miles away, an observer might not immediately see Lydd as an answer to British aviation’s big question: if, how, and where the south-east of England will develop the airport capacity that the industry and its allies in business and politics say the UK desperately needs. But Lydd’s management believes it can be a part of the solution – and that the government’s decision to let it expand should be seen in the context of the wider debate. The location has echoes of the Thames estuary airport plan espoused by the London mayor, Boris Johnson – both remote, peaceful corners of Kent, where birds thrive but a number of people struggle for work. Both are close enough to the high-speed rail line for hopeful talk of quick connections to the capital from those who see tranquil backwaters ripe for economic regeneration. But while architects and politicians project megahubs on Medway, Lydd would take a year to match the traffic of a few days at Heathrow. The ambition here, once the runway extension that will allow fully loaded holiday jets to take off is completed after 2016, is to be a new Southend. That is, London Southend, another revived airfield harking back to a black-and-white heyday. Lydd was a jetsetters’ choice when film stars would Channel-hop by driving on to a Bristol Freighter plane: photos outside the terminal’s Biggles Bar show Diana Dors beside an open-topped car and a surprisingly dapper Duke of Edinburgh, even for 58 years ago. Approval has been given for up to 500,000 passengers a year; executive manager Hani Mutlaq doesn’t want to stoke local antagonism by discussing plans beyond that. But the airport owns land giving scope to expand further. An adjacent railway track that carries nuclear waste from Dungeness could, he says, one day link passengers to Ashford’s high-speed train – a 37-minute journey to London, albeit with single fares even higher than the notoriously expensive Heathrow Express. Drawing in the likes of easyJet, as Southend has, would be a coup, but the clearest plan is to expand the executive jet service. Right now, even the Saudi who owns Lydd – Sheikh Fahad Al-Athel, of the Al-Yamamah arms deal fame – can’t land his private jet, flying in from Jeddah via Luton instead. Those giant A380s are steadily coming in: three of British Airways’ dozen on order – the first to be based at Heathrow – will be operational this summer. Bigger planes will indeed play a part in the hub airport’s bottom line, to squeeze more passengers into the finite number of slots. That quiet engine may prove as important for capacity as the hundreds of extra seats. Last week Hounslow council launched a public consultation to ensure its residents’ experience under the flightpath is heard loud and clear by the Davies commission, which will shape London’s airport development. Waiting for the roar of an incoming plane to clear the infants’ school where he was speaking, deputy council leader Colin Ellar said: “That noise you hear now I suffer every day, and it wakes me up at 4.30am.” Hounslow is relatively supportive of Heathrow, the borough’s chief employer: neighbouring Richmond’s forthcoming referendum is expected to starkly reject any possible expansion. Even if many Tory MPs now rue the coalition’s decision to scrap Heathrow’s third runway – and the transport ministers squarely opposed to Heathrow expansion, Justine Greening and Theresa Villiers, have been shuffled on – the politics of bringing more planes over London remain toxic. The aviation policy framework published in March reiterated the idea of growth elsewhere to take pressure off London’s main airports. Lydd’s management points to its planning sign-off coming in the wake of that statement and George Osborne’s budget talking up infrastructure: its £25m investment could mean jobs in a region where employers such as Pfizer have shut down. Posted: Thursday, April 25th, 2013. Filed in News about Airports, Recent News.